4 Unit money maker! Possible for auto use, beauty parlor, office, contractor shop, or many other uses. 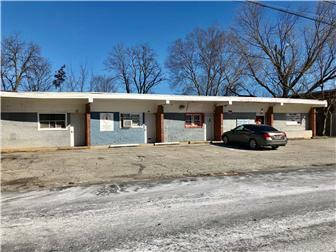 Approximately 3800 square feet on a 102x104 foot lot zoned C-5 commercial. 2 units rented at $600/mo each. All units have separate heaters, separate water heaters, separate water and electric meters. Please check with the city of Wilmington for potential uses.